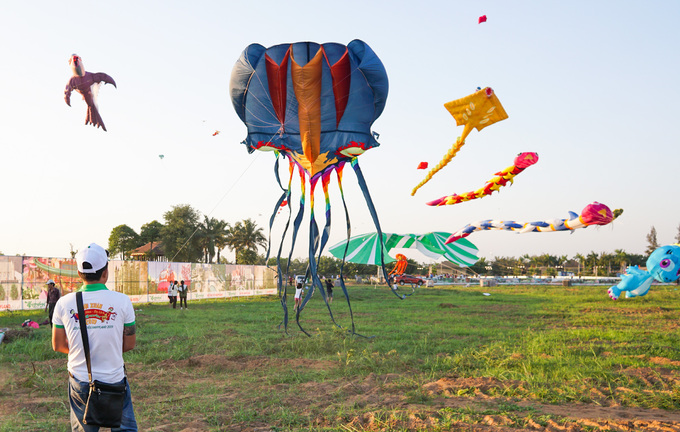 People came to this kite festival at a tourism location in Thanh Duc Commune to enjoy the sight of the massive kites. 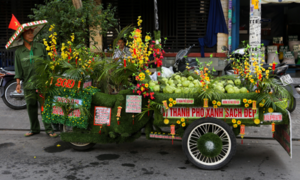 The first such festival here, it went on until Tuesday. 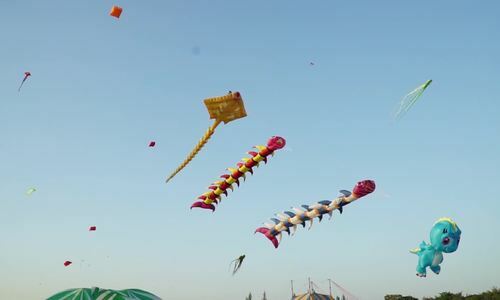 The event attracted hundreds of participants, and in the evening the sky was filled with kites. 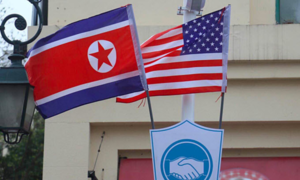 The large open area allowed participants to move around freely. 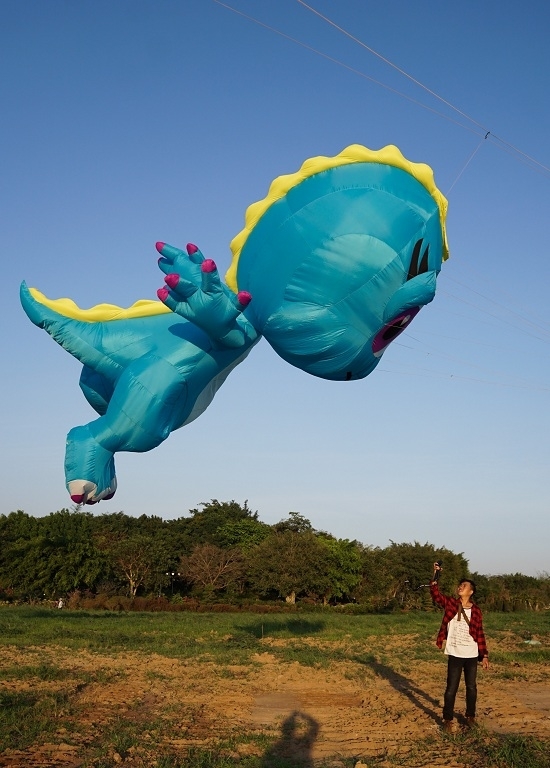 A man with a stingray-shaped kite that weighs nearly 10 kilograms and is 30 meters long. 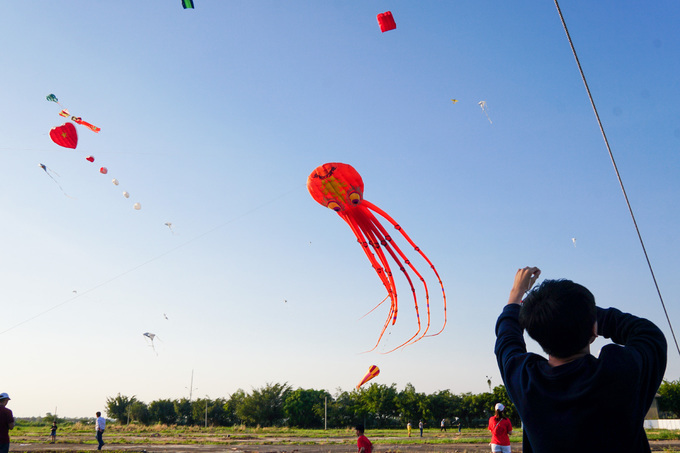 Khoa, one kite flier, said: "An aerodynamic kite can weigh up to 20 kilograms and have a length of up to 30 meters. 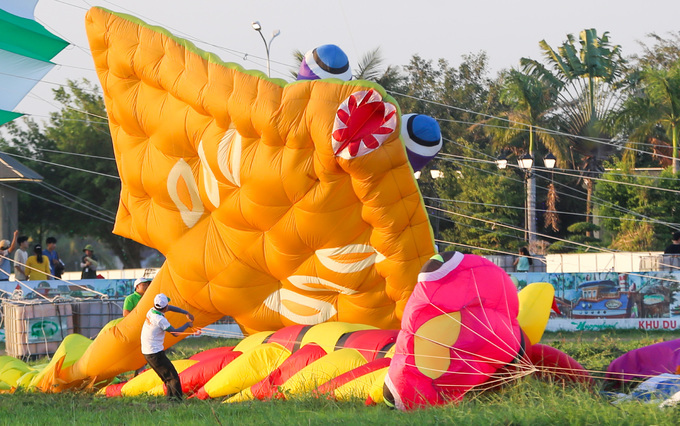 It has vibrant colors and is made of super light fabric so it can fly hundreds of meters in the air." 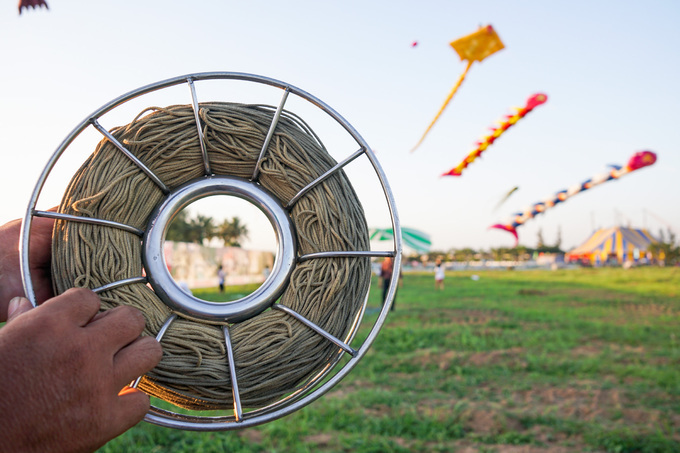 Kite fliers with large aerodynamic kites use cord as string. 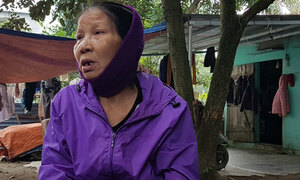 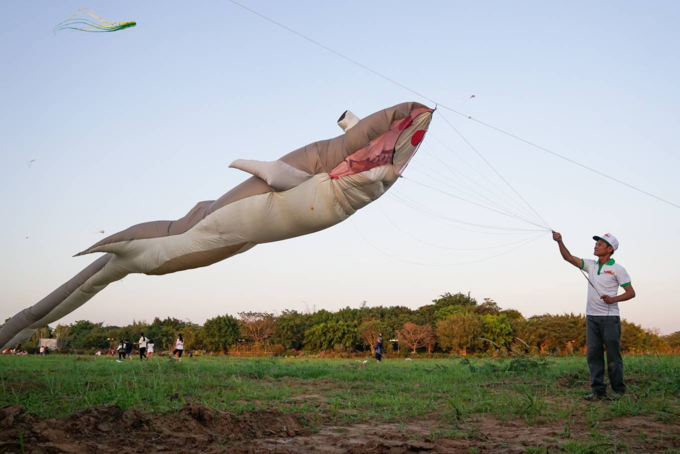 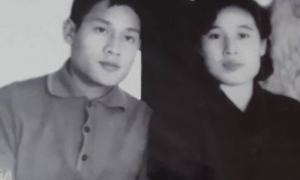 Cao Trung Uy, a Saigon resident who went to Long An to fly his shark-shaped kite, said: "I sewed and decorated it myself. 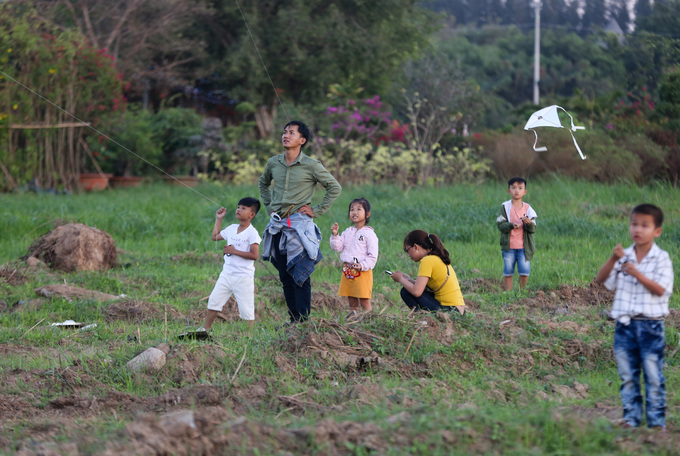 During the Tet holiday, I came down here to have fun and fly my kite. 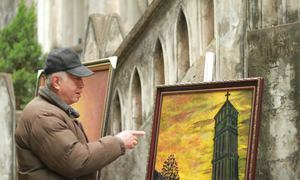 I’d love to see how high it goes and how it adds more color to the sky." 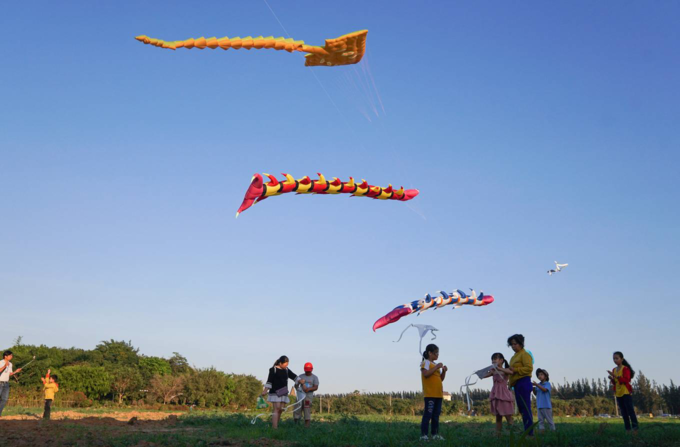 Parents brought their kids to the event to watch the kites and let them fly their own. 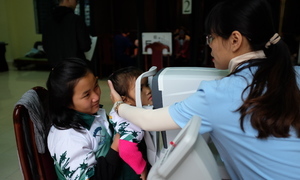 The event also featured various contests and a workshop to teach children how to make their own kite. 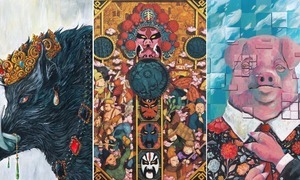 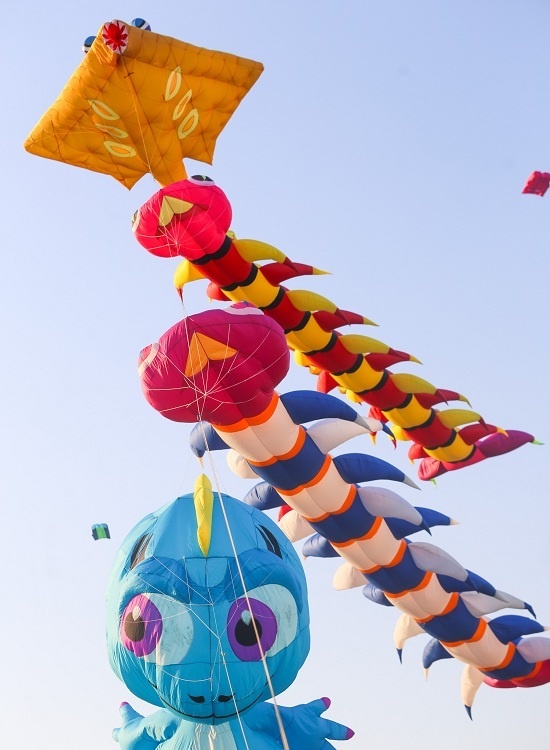 According to the event organizers, 70 to 100 large kites participated in the event every day, depending on the weather.